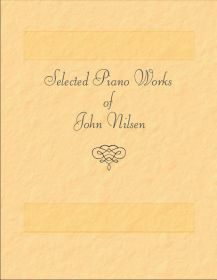 Selected Piano Works of John Nilsen in sheet music, released December, 2010. This is the first collection of John Nilsen's solo piano compositions available in sheet music. go to the web site for this product. Press the "add" button to add this item to your shopping basket.